Remove the iat sensor (1) from the air cleaner box. Install the iat sensor in the reverse order of removal. 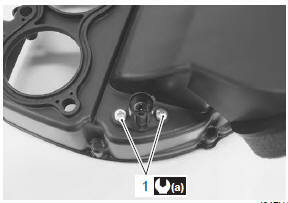 tighten the iat sensor screw (1) to the specified torque.